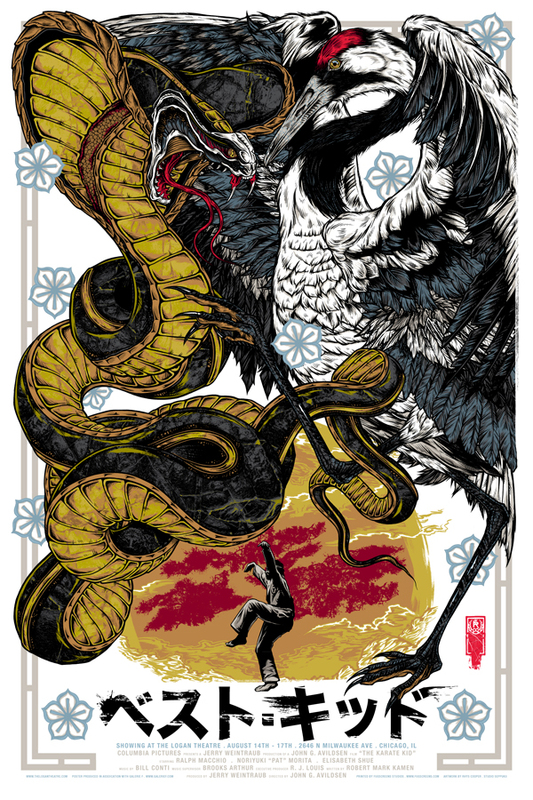 Rhys Cooper created a movie poster for the 80s classic “The Karate Kid” for the screening at The Logan Theatre held by Galerie F. It is a 24″ x 36″ Screenprint available in Regular (Ed of 90, $65) and variant (Ed of 45, $80). On sale Thursday, August 20th at 2pm Central (12pm PDT) HERE. This entry was posted in Movie Posters and tagged Rhys Cooper, The Karate Kid by admin. Bookmark the permalink.